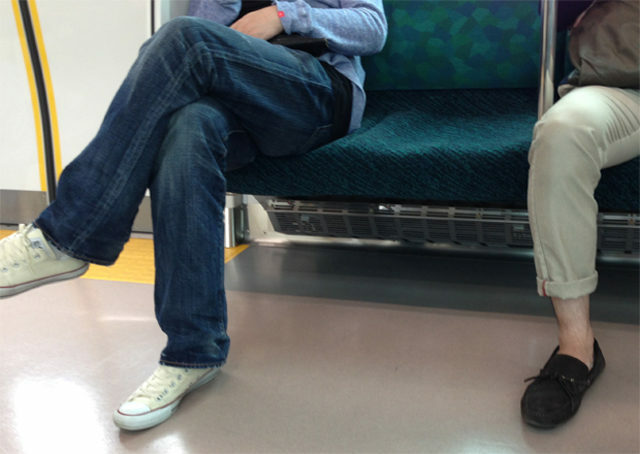 A man traveling in a Tokyo train today seized the moment and moved across one position to secure a side-seat. “If a side-seat becomes available you must move quick to take it – I’ve had friends ignore side-seats who have regretted it for years,” said Kota Yamashita. Yamashita’s work colleague Genji Watanabe missed a side-seat back in the summer of 1987 and regularly brings it up at work parties. Watanabe spotted the side-seat open up before anyone else but a moment of hesitation ended up being a critical factor. Watanabe tells people he has recovered from the incident, but his friends and family continue to monitor his mental state. I need more enlightenment on this question . The side seat by the door is the most prized seat on any train. One shall never give up an opportunity to snare such a prime position. Only 1 other person can be next to you as you are rubbing against the wall on the other side. This is a gold mine. There’s so much unspoken micro-politics on riding the train. There’s a delicate balance to how much you can assert yourself to get a seat, or that comfortable nook between the door and the seat wall. There could be a whole article on someone getting trapped, crushed, lost, or stranded in the center intersection area between the opposite doors of the train. That place is a whirlpool of misery. The only saving grace is that it is directly beneath the air-conditioner.